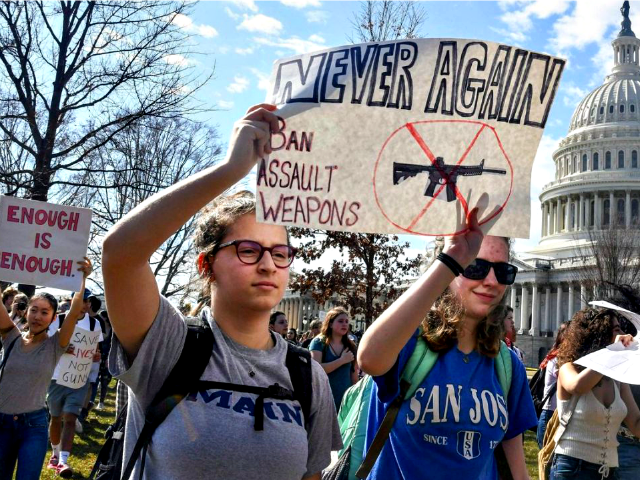 Teachers unions at the state and national levels are supporting what they say are student-driven protests demanding changes to the Second Amendment since the Parkland, Florida, shooting that claimed the lives of 17 people. Union officials, however, are advising teachers to be cautious about ensuring their support for the students – from over 2,500 schools that are participating in a “student walkout” Wednesday to promote gun control – is provided as private citizens. While urging its members to “avoid any suggestion that they are speaking in their official capacity or on behalf of their local school district,” Oklahoma Education Association (OEA), for example, says the National Education Association (NEA) and its state affiliates support this “inspired movement” by students. The White House proposal to harden schools and to arm teachers is straight out of the NRA playbook. It is antithetical to the needs of children and ignores the purposes of public education. Parents who have been battling against federal intrusion in education say the organized student walkout is part of the progressive agenda. “What better setup for another tragedy, than to announce when there will be hundreds of children – yes, children – allowed by school authorities to leave the safety of their secure classrooms and exit to the unsecured outside campus?” she asks. “Unfortunately, so has a generation of American children,” she says.